Divorce proceedings devastate families and finances. For couples, and parents, who want to stay in control of their family’s future and who want to make their own decisions in a divorce, separation, or reconciliation; family mediation is the sensible alternative to the, often hostile, two lawyer divorce system. 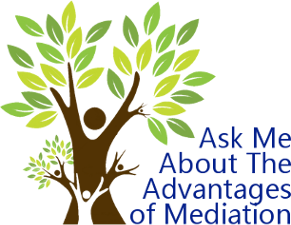 Family mediation issues are less painful and are a “more productive process” with Attorney Michelle Williams as your mediator. With her as your family mediator, you’ll be able to relax knowing you are participating in the alternative dispute process.”. If you need family mediation—don’t wait. Call Michelle for superior family mediation work. Family Mediation is the process, in which, two or more people involved in a dispute meet in a private, confidential setting, with the help of a mediator, to work out “their own solution” to their dispute. A mediator is not a judge and does not decide who is right or wrong in a disagreement. Also, the mediator does not force disputing parties to reach an agreement or to accept any particular settlement terms. During a family mediation session, the parties involved in the dispute express the problem as they see it and present their ideas on how they think it can be resolved. A mediator helps the parties develop realistic and workable solutions to their problems. Attorney Michelle M. Williams’ training for “Family Mediation” includes the 40-hour “Basic Mediation Course” and clinical training at Dispute Mediation Service, Inc., in Dallas, Texas, and Dispute Resolution Services of Tarrant County, Inc., in Fort Worth, Texas. She is currently volunteering for family mediation at “Dallas County Dispute Resolution Center”, where she works in their Alternative Dispute Resolution Section.